A man and a woman have moved into a small house in a small village. The woman is an examiner, the man, her claimant. The examiner is both doctor and guide, charged with teaching the claimant a series of simple functions: this is a chair, this is a fork, this is how you meet people. She makes notes in her journal about his progress: he is showing improvement yet his dreams are troubling. One day the examiner brings the claimant to a party, where he meets Hilda, a charismatic but volatile woman whose surprising assertions throw everything the claimant has learned into question. What is this village? Why is he here? And who is Hilda? A fascinating novel of love, illness, despair, and betrayal, A Cure for Suicide is the most captivating novel yet from one of our most audacious and original young writers. JESSE BALLis the author of four previous novels, includingSilence Once BegunandSamedi the Deafness, and several works of verse, bestiaries, and sketchbooks. He has been named a finalist for the 2015 New York Public Library Young Lions Fiction Award and a 2014 Los Angeles Times Book Prize. Ball received an NEA creative writing fellowship for 2014 and the 2008Paris ReviewPlimpton Prize, and his verse has been included in the Best American Poetry series. He gives classes on general practice at the School of the Art Institute of Chicago s Master of Fine Arts Writing program. 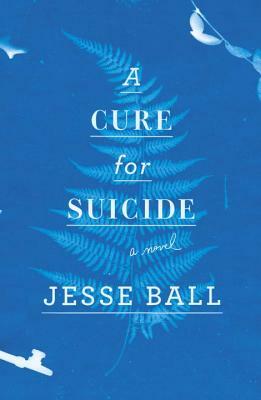 A Cure for Suicide is long-listed for the National Book Award 2015."